Summer is officially here and we are all trying to keep cool. As a cook you try not to turn on the oven as much in summer. Your sweet tooth is craving for a yummy dessert but, you don’t want to turn on the oven. 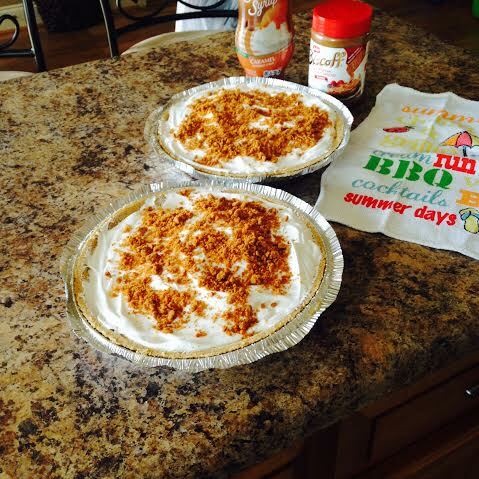 This Biscoff Creamy Pie is going satisfy your sweet tooth and keep you cool! It is light, creamy, and fluffy. I made this pie for our family Father’s Day Dinner and everyone just loved it! It is delicious and I hope you enjoy it. 1. 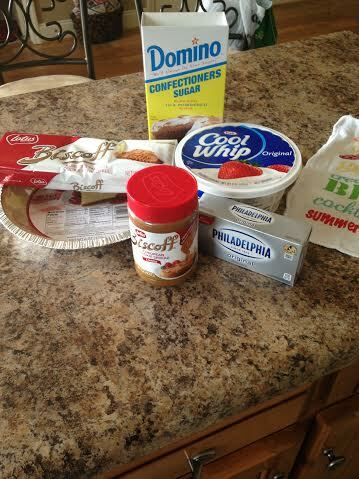 Combine Biscoff European Cookie Spread, Confectioner Sugar, and Cream Cheese; Mix ingredients with a mixer. Thank you! It is so good and easy to make! I hope you try it! You’re showing allthe way out with this one! Thank you sister!! I hope you guys enjoy it! !